Call 443-442-7304 for a FREE Clock or Watch Repair Estimate! Welcome to Maryland Clock and Watch. 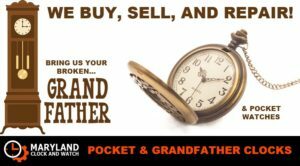 We are a complete service center that specializes in repair, restoration, and sales of all timepieces from modern to antique. 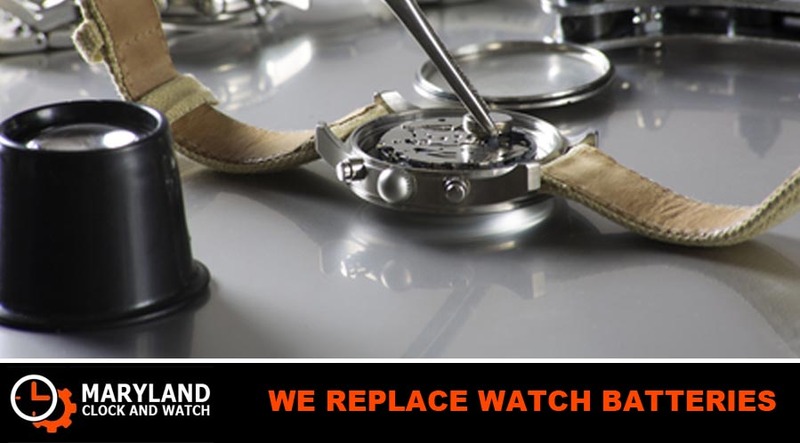 With over 40 years of experience and technical training from some of the industry’s leading institutions you can rest assured that our expert clock and watch makers will bring your timepiece back to life in no time! 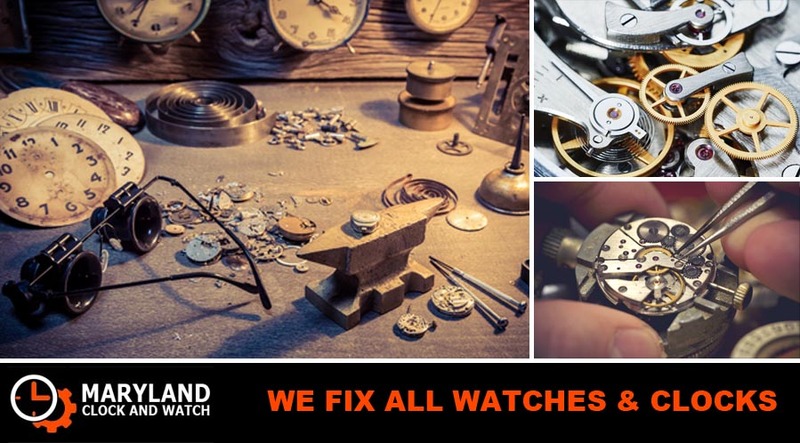 At Maryland Clock and Watch we are dedicated not only to our craftmanship of repairing and restoring timepieces, but also providing the best possible experience for our customers. 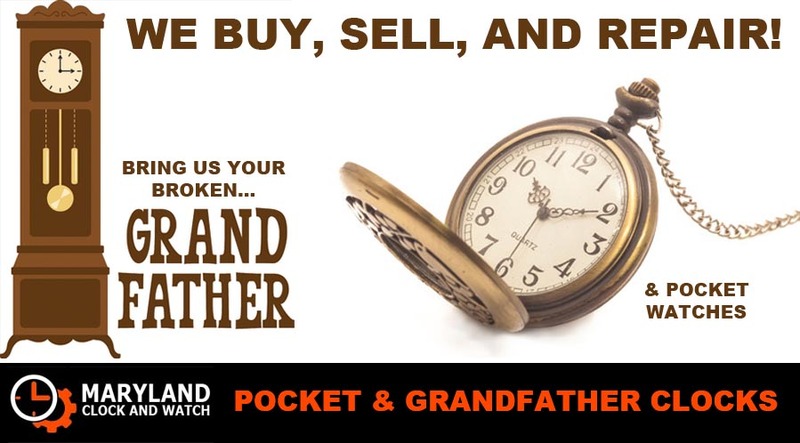 We look forward to hearing from you and taking care of all your clock and watch needs. Maryland Clock and Watch | Expert Repair Services © 2019. All Rights Reserved.